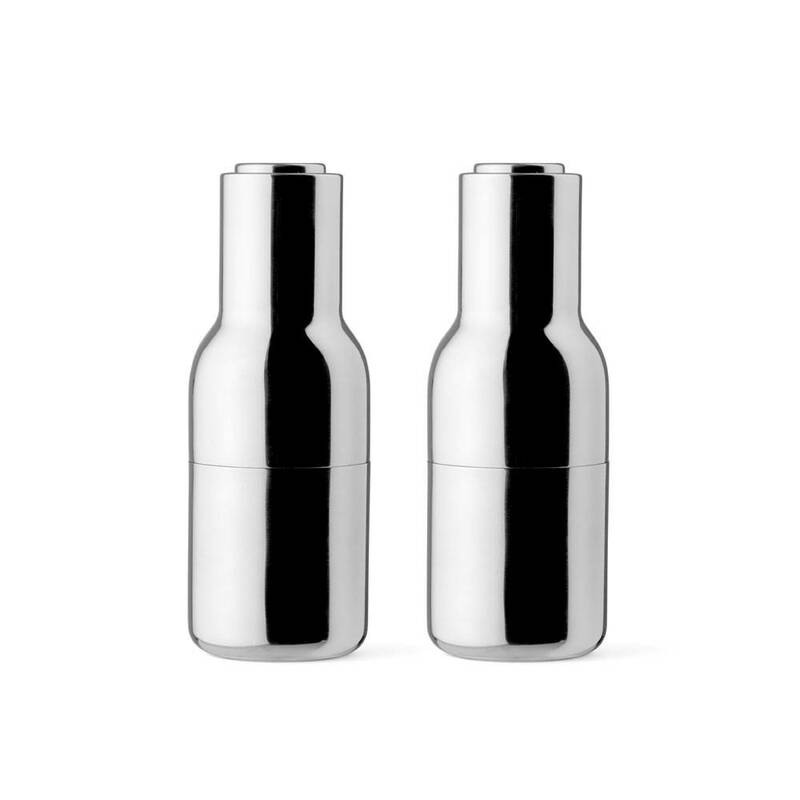 The popular Bottle Grinders from Norm Architects for Menu in shiny stainless steel. 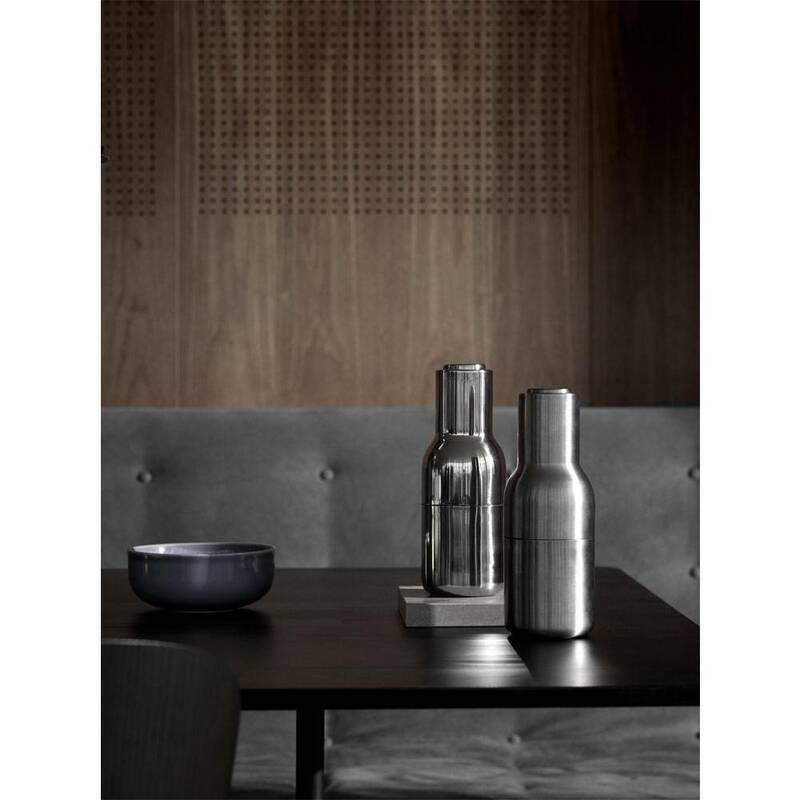 The ceramic grinding mechanism of the grinder is placed on top so that no leftovers remain on the table. 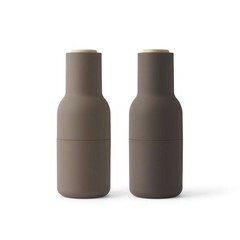 The Menu Bottle Grinders have been very popular since the launch. 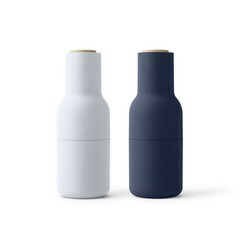 The shape, the material, the fantastic colors and not in the least the ease of use make this set of pepper and salt mills a popular possession or gift. Special about the Bottle Grinders is that the grinding mechanism is in the top instead of the bottom. As a result, leftovers of ground salt and pepper on the table and in the kitchen are a thing of the past. You can also use the Bottle Grinders for dried herbs. Filling is also very easy, tips are included in the package. The stainless steel mills are marked with a P and an S on the top of the mill, so you can see the contents quickly.